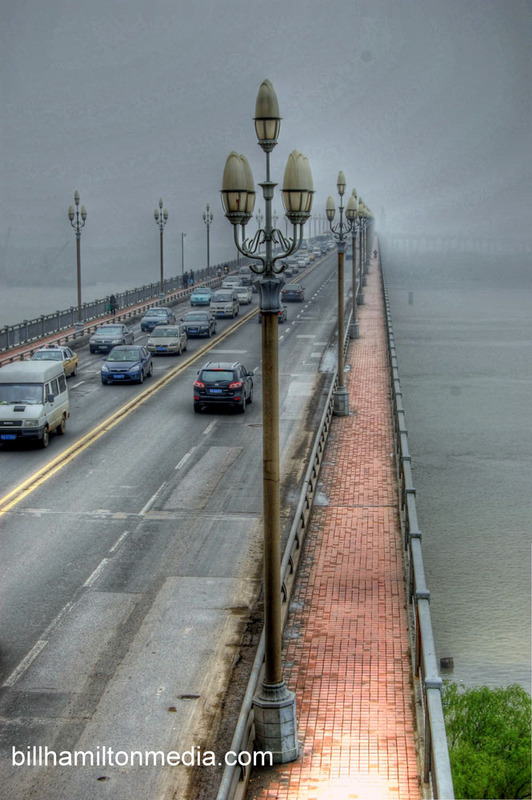 The Nanjing Yangtze River Bridge is a double-decker bridge across the Yangtze River and its upper deck is part of the China National Highway 104, the lower deck is the railway passage. This bridge is massive and impressive. This day it was overcast and light rain the entire day, but it was still worth the visit. This bridge is also one of the premier destinations for suicide which is not part of any tour group I’m sure. Nanjing is a very busy and it’s an important city commerce hub, but the real treat of Nanjing is the people and old world charm of this historical city. To view my gallery please visits www.billhamiltonmedia.com, thank you! All images and words © Bill Hamilton, All rights reserved, copying and or distributing these images without my permission is strictly prohibited. This entry was posted in Uncategorized and tagged Bridge, China, Faith, Family, Nanjing, People, Photography, Transportation, Travel.